Kristen Ashworth shares her story as a recent ADPi alumna. 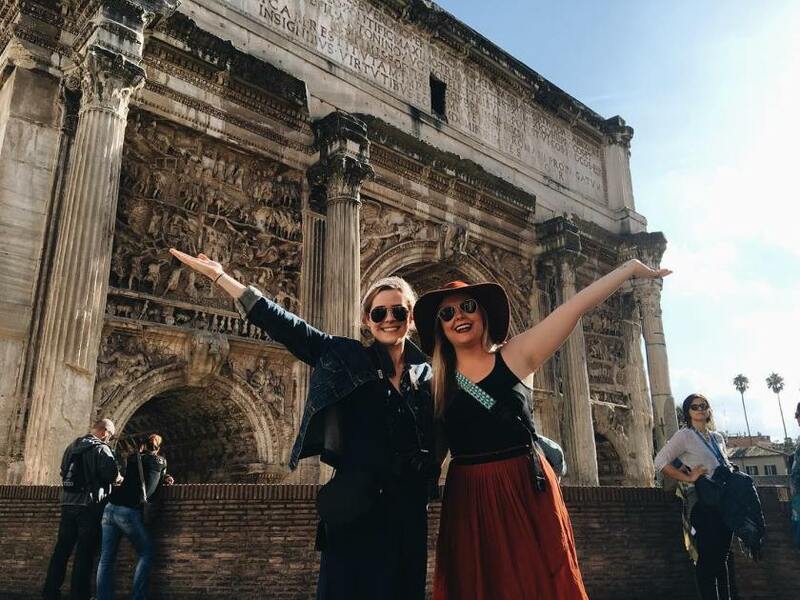 With one year of post-grad life under her belt, she reflects on what she’s learned from her ADPi relationships since graduating. Post-Grad life is scary and weird. I won’t sugar coat it. I was afraid to graduate as it was, but nothing really prepared me for all the ups and downs that were to come. What I truly wasn’t prepared for was doing it without my sisters/friends by my side. What I’m here to tell you though, is that even when you leave campus at the end of your senior year, they really don’t leave you. This year was incredibly difficult and exciting all at once. I moved to the other side of the world to live in France for a year as an Au Pair. The reaction I got from most people when I told them this was, “Wow, that’s really cool.” Honestly, it was lonely at times, especially living with a family that wasn’t your own and didn’t live the way you are used to living. At the same time it was incredibly exciting to travel, meet new people from many different countries, and force myself to learn the language when I was lost in a city somewhere. The people who were there for me in those lonely days and exciting days were ADPi sisters. I even got to travel with those sisters. Towards the end of this past year my Grandpa passed away. He was one of my very best friends, and my biggest worry before I left was that something might happen to him while I was gone. It rocked my world when he passed. I hadn’t seen him in 10 months and I felt extremely guilty for that. It just so happened that when I got the news, one of my very best friends from ADPi was with me. That was honestly a blessing in disguise. She truly kept me going. When I learned I had 24 hours to get home for the funeral, she packed me when I could barely think straight and didn’t complain one bit about having to change her plans around because of it. Another sister let me call her and talk for hours in the middle of her workday back on the East Coast. Many more also showed their support through texts, calls, social media posts, etc. These are the people who help pick me up on a regular basis. It might sound cheesy, but I would be lost without my ADPi sisters. When people tell you that they will be your friends for life, you should listen. In saying that, I don’t mean to tell you that that happens without putting in effort. I was told many times while being an active member of ADPi that “you get out what you put in” to the sorority. It is the same when you graduate. If you want your sisters to be with you always and be people you can count on and have them count on you, then you have to answer the 3 am phone calls, or pay for the plane ticket to go see them. It is so incredibly worth it to make small sacrifices in the big scheme of things, in order to be someone’s backbone and they be yours. I hope this gives you soon to be graduates some peace. Life is crazy in college, especially senior year, (it’s even crazier when you get out) so I hope that these words give you reassurance that the future is full of the people you love the most as long as you put forth the effort to have them there. It is full of excitement even when you don’t see it or feel it. Believe in yourself and believe in your sisters! Have a great year!